Motoring. Photography. Lifestyle. Events. Travel. Women. 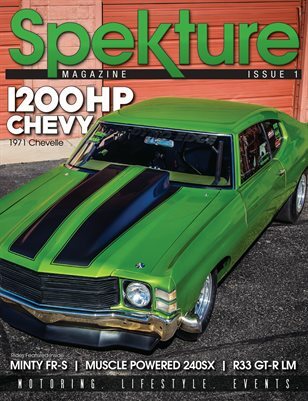 Spekture Magazine Volume 1 featuring the 1971 Chevy Chevelle on the cover. Model features include Amanda Sparks, Gee Robinson, Heidi Jo, Jessika Lyn, Missy Olivares, and Roshie. Includes photography tips to cover cons, travel advice to Iceland, automotive ride features, event coverages and more.